Both the Disneyland Castle and Carthay Circle Theater will be draped in diamonds in honor of the Disneyland 60th Anniversary starting May 22nd. Both will feature flourishing diamond touches and large medallion Ds gracing their fronts. The entire resort will feature Disneyland Diamond Celebration themed decor and banners in the Disneyland shades of blue. The peaks of both structures will be adorned in large diamond fixtures. The castle was decorated in a similar way during the 50th anniversary when crowns and golden flourishes were added to celebrate. 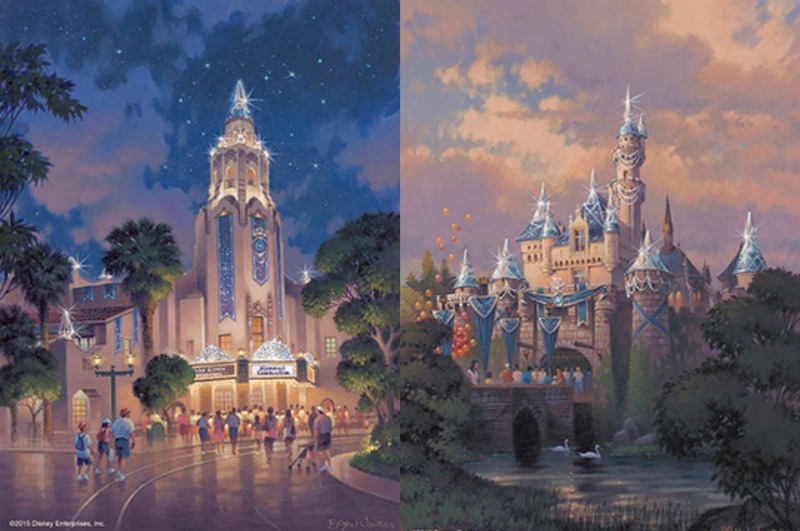 Click here for more information on the Disneyland 60th Anniversary entertainment offerings. Sign up for the Disney Dose newsletter for more Disneyland news and updates. What will the new hats look like for the 60th? Nothing has been shown off yet.